The structure of Physix is based on the idea of creating a continuous seat shell by stretching a single textile panel between two side members. With its design, the chair assumes its place in a long line of iconic chairs while taking the typology to yet another level. Using state-of-the-art materials and production technology, Alberto Meda orchestrates an interplay of three elements to create a new dynamic sitting experience: a flexible frame construction, an elastic cover and a stabilising mechanism. Together these three characteristics form an ingenious construction that explores new possibilities of dynamic sitting through the interaction of flexible and rigid elements.Physix is available as an office swivel chair and also with a four-star base in the version Physix Conference. 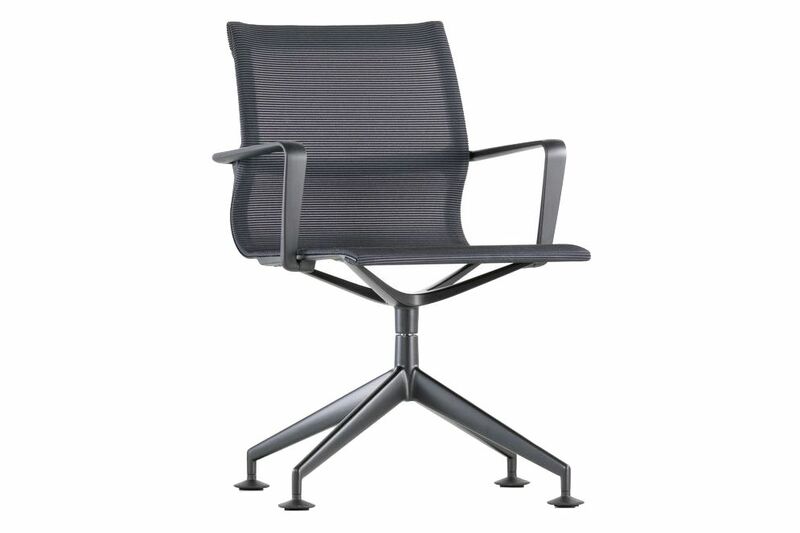 Flexible frame and armrests in polyamide (deep black or soft grey). One-piece sling panel for the seat and back in TrioKnit knitted fabric or FleeceNet woven fabric.